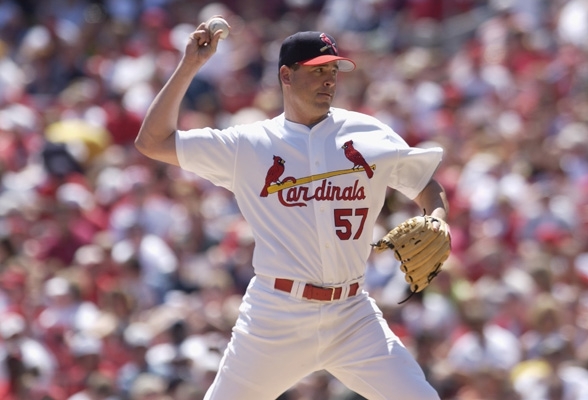 One decade ago today the St. Louis Cardinals lost one of their best starting pitchers when Darryl Andrew Kile passed away in his Chicago hotel room where the Cardinals were staying for a weekend series against the Cubs. Kile, a tall, lanky right-hander (6’5”, 185 pounds) was known for his big-breaking curveball and while he was a fantastic pitcher he is remembered as being an even better teammate, person, friend and father. Unfortunately, on this day ten years ago Kile would not wake up after suffering a heart attack in his sleep, a result of what was later determined to be a 90% blockage in two coronary arteries. Coronary disease took the life of Kile as he became the first active major league player to die during the regular season since New York Yankees catcher Thurman Munson died in an aviation accident in 1979 and the time it was a huge blow to Major League Baseball. To be honest, it’s probably something I’ll never forget, either. 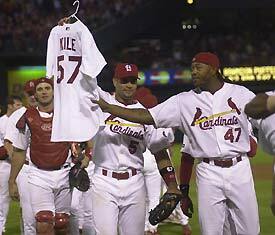 Later that season, the Cardinals clinched the National League Central Division championship and first baseman Albert Pujols carried Kile’s #57 jersey on a hanger to the celebration on the field. 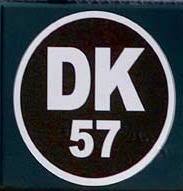 The team had his jersey hanging in the dugout for the remainder of the season in tribute to Kile, and they also honored Kile by placing a small “DK 57” sign on their home bullpen. His former teams, the Astros and the Rockies also have similar tributes. No Cardinal player since Kile has worn the number, and I expect that to be a lasting tribute to the pitcher. In 2003, the Darryl Kile Good Guy Award was established and it is now presented annually to the Astros and Cardinals player who represent Kile’s traits of “a good teammate, a great friend, a fine father and a humble man”. If that’s not an award any man wants they are in the wrong profession and also need to re-establish his priorities. Daryl Kile is one of the reminders that are things bigger than baseball, and his legacy is sure to live on more than his 133 career wins and 4.12 ERA. Kile also had 1,688 strikeouts during his 12 year major league career and was named an All-Star three times, and on September 8, 1993 he even pitched a no-hitter. But on days like his death, and even now ten years later you realize everything that what he, along with every other athlete, accomplish on the field are almost meaningless in the greater scope of life. Don’t get me wrong, I love sports more than almost anything in this world (as you can tell by the fact that I write this blog, and eat, sleep, breathe and life sports) but they are only a small subset of society. Without events like the tragic death of Darryl Kile, people get too caught up in the meanings that we attach to championships and victories. To Daryl Kile being a good man, a good person, a good father, a good friend, and a good teammate meant so much more than the work he did every five days on the mound. Today, on the tenth anniversary of his death I implore you to take a deep breath and look at your own life and your own accomplishments. Can you honestly say that you are doing everything in your power to be a great person? If not, you can learn a lesson from Darryl Kile and his life that ended way too soon. Thanks for that, DK. This entry was posted in MLB and tagged Baseball, Cardinals, Darryl Kile, Death, Heart Disease, Life, MLB, Sports, St. Louis. Bookmark the permalink.